Tuohy was most recently director of managed solutions and veterans program lead with Florida Blue subsidiary Incepture, named one of Florida Trend magazine’s “Best Places to Work.” He is a two-time JU alumnus, including receiving his MBA from the University in 2003, and was also a member of the first JU Naval ROTC class. In addition to bringing nearly three decades’ experience as a Navy Aviator and aircraft carrier commanding officer, Tuohy is well-known and respected for his deep business leadership background, consensus-building skills and keen abilities in providing career-related resources and employment services to both veterans and civilians. The Davis Aviation Center in the Davis College of Business was founded in 1983 and is one of the top collegiate aviation programs in the nation, graduating students prepared for business and flying careers in the aviation industry. It has accredited aviation degree programs, unique industry partnerships and a business-centric curriculum. The center has the region’s only Level 5 CRJ700 flight simulator at a higher education institution, and is one of only a handful of flight programs to reach agreements with four regional airlines for direct “career pathway” programs guaranteeing qualified graduates job offers from a regional airline and, later, interviews with their major airline partners. Tuohy said he looks forward to helping enhance the Davis Aviation Center. Davis College of Business Dean Dr. Don Capener said the University is thrilled to gain a leader with such impeccable credentials and integrity. Among his numerous military accomplishments, Tuohy has flown the S3A and S3B Viking in numerous squadron and staff assignments, with tours including Air Antisubmarine Squadrons VS-32, VS-28, VS Support Unit and as Executive Officer of the Replacement Training Squadron, VS-27. He served as the Commanding Officer of Sea Control Squadron 32 onboard the USS America, commanded the helicopter carrier/Mine Counter Measures Command ship USS Inchon, and was Commanding Officer of the aircraft carrier USS Kitty Hawk. He also served on the Joint Staff in Washington, D.C., as the Assistant Deputy Director for Operations. In addition to his role at Incepture, since retiring from active duty as a Navy Captain in 2001, Tuohy has been a staff business system analyst for Dynamics Research Corp., executive vice president of Wind Energy Consulting and Contracting, and executive vice president of Ice House America subsidiary East Coast Ice. 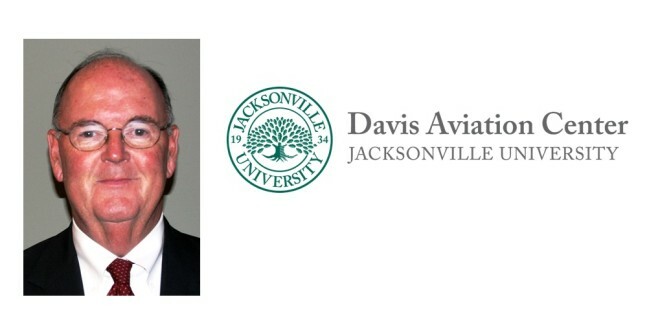 At JU, Tuohy has previously served as Director of Aeronautics and on the Board of Trustees, was Alumni Board president, is among the “75 JU Distinguished Dolphins” honorees, and was the 2000 JU Distinguished Alumni Award selectee. He was also a 2014 Jacksonville Business Journal Veteran of Influence honoree.